Action Research worked with the City of Oceanside Clean Water Program to develop a public outreach campaign aimed at decreasing the amount of pet waste left along the San Luis Rey River bike path in Oceanside, California. The project targeted residents of the communities surrounding the river who utilize the bike path to walk their dogs. Services included mail surveys and recommendations for structural interventions and improved signage. 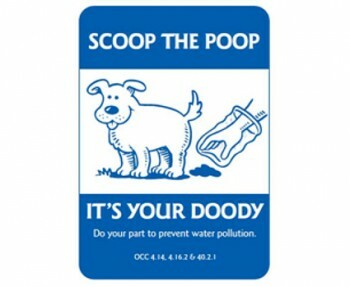 The “Do Your Doody” campaign resulted in a 23% decrease in pet waste accumulation on the trail.